• BESCOM Electricity Bill Payment: Rs 100 cashback on first BESCOM electricity bill payment of Rs 500 or more using Paytm promo code BESCOM. 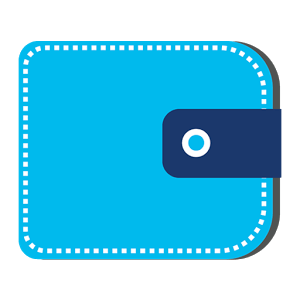 • PAYTM20 – Paytm add money promo code to get Rs 20 free wallet cash. Valid for new user. • Paytm offer for new user – apply PAYTMAPP to get Rs 25 cashback on min Rs 100 recharge. Valid for first 3 recharges on Paytm app only. • Paytm Promo Code FREE20 – Rs 20 free recharge for new users. • Paytm promo code LOOT – Get Rs 10 cashback on Rs 100 or more recharge & bill payment. Can be used 10 times per user. Valid once per month. • Paytm promo code for old users: use GRAB10 promo code to Get Rs 1 cashback on min Rs 50 recharge & bill payment using grab10 promo code. Use this upto 10 times. • PAYBILL – Paytm electricity bill payment offer to get Rs 100 cashback on your first bill payment of minimum Rs 500. Promo code is valid for water bill payment too. • Paytm Promo Code GET10 – Paytm wallet offer for new users to get Rs 10 free Paytm cash. • FIRST – Rs 10 free recharge for new Paytm users. Make new account on Paytm & recharge your number with free Rs 10 using “FIRST” promo code. • MMETRO : Paytm offers 10% cash back on Mumbai Metro card recharge. Max cashback Rs 100. • DMETRO – Paytm offering 4% cash back on Delhi Metro card recharge. Max cashback Rs 40. • Paytm Electricity / Water Bill Payment offers & promo code – BILLPAY : 1% cash back (upto Rs 300). 3 times per user. • Paytm old user offer: Apply GRAB200 promocode to get 1% cashback on prepaid recharges, postpaid bill pay, landline, DTH, data card recharges. Max cash back Rs 200, promo code can be used up to 5 times. • PAY2WIN : Win an Air Conditioner by paying Electricity bills. Pay your electricity bill payment at Paytm & get a chance to win an Air Conditioner. 100 lucky winners will also get 100% cashback. Max Rs 1000 cashback. • Paytm Promo Code LUCKY10: 10 lucky winners will get 100% cashback every hour. Valid on recharge, bill, DTH, Landline, Datacard. • Paytm Promo Code LAKHPATI: Recharge at paytm & win 1 lakh everyday. Winners names will be announced within 48 hours. Get 5% cashback on Rs 30 or more Idea mobile recharge & postpaid bill payment. Apply promo code IDEA5. Max cashback is Rs 200. 5 times per user. Recharge your MTNL mobile on Sunday with Rs 400 or more using MTNL400 promo code & get Rs 10 cashback. Get 5% cashback on Rs 30 or more MTNL mobile recharge & postpaid bill payment using MTNL5 promo code. Max cashback is Rs 200. 5 times per user. Rs 10 cashback on min Rs 400 Bsnl mobile recharge / postpaid bill payment. Use promo code BSNL400. Valid on Monday only (5 times). Get 5% cashback on Rs 30 or more BSNL mobile recharge & postpaid bill payment using BSNL5 promo code. Max cashback is Rs 200. 5 times per user. Recharge your mobile using RELIANCE400 promo code with Rs 400 or above on Wednesday & get Rs 10 cashback. Get 5% cashback on Rs 30 or more Reliance mobile recharge & postpaid bill payment using RELIANCE5 promo code. Max cashback is Rs 200. 5 times per user. Rs 10 cashback on Rs 400. Apply promo code VODA400. Valid on Thursday. Get 5% cashback on Rs 30 or more Vodafone mobile recharge & postpaid bill payment using VODA5 promo code. Max cashback is Rs 200. Can be used 5 times per user. Use TATA400 & get Rs 10 cashback on Rs 400+ recharge. Valid on Friday. Use TATA5 promo code to get 5% cashback up to Rs 200 on Tata docomo & indicom mobile recharge & postpaid bill payment. Use 5 times per account. Recharge your Aircel mobile number with Rs 400 or more using AIRCEL400 promo code & get Rs 10 cashback. Coupon can be used up to 5 times on Saturday. Apply AIRCEL5 promo code to get 5% cashback on Aircel mobile recharge & postpaid bill payment. Max cashback is Rs 200. 5 times / user. • Paytm BSNL offer & promo code– BSNL5 : 5% cashback on minimum Rs 20 recharge & bill payment. Maximum cashback 200 & coupon is valid upto 5 transactions. • Paytm Idea offer & promo code– IDEA5 : Get 5% cashback on Rs 20+ recharges & bill payments. • Paytm Reliance offer & promo code–RELIANCE5 Recharge or pay bills with Rs 20 or above & get 5% cashback upto 200 rs (5 times). • Paytm Vodafone offer & promo code– VODA5 : 5% cashback on Rs 20+ prepaid recharge, postpaid bill payments. • Paytm Aircel offer & promo code– AIRCEL5: 5% cash back on Rs 20 or more recharge. • Paytm Tata offer & promo code – TATA5: 5% money back coupon for Rs 20+ transaction. • Paytm Mtnl offer & promo code–MTNL5: 5% cashback on Mtnl mobile recharge with Rs 20 or more.